Last night (29-Nov-18) Sporting KC played in the Western Conference final. (Lost! dammit.) No way we were going to miss watching the match. 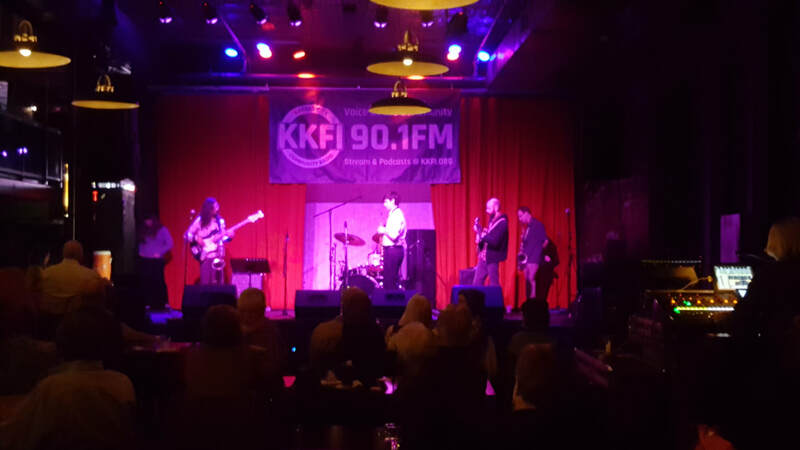 However, we first left the 'burbs and made a jaunt to downtown KC and briefly attended an event for KKFI, KC's community radio station. Last night will be another good memory of crisp weather outside while indoors a jazz horn plays and people mingle. Ahh! goes the sound of water, solidity into fluid, and soon finding level the way it does. Jazz.